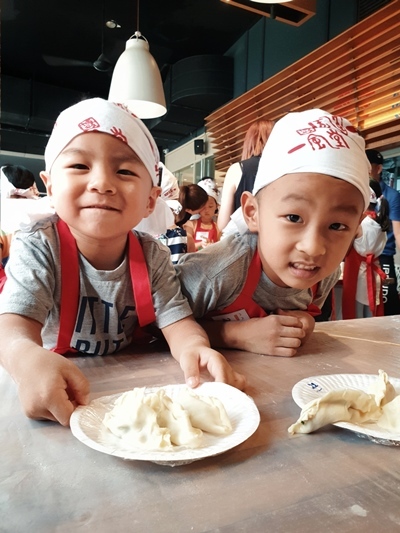 Singapore – Children as young as 3 years old can now experience how to make their own ramen and gyoza at IPPUDO Child Kitchen. I brought my boys to IPPUDO at Mohd Sultan and they spent an enriching 2 hours turning flour into a yummy Japanese meal. I brought my 3 yr old and my 6 yr old boys to IPPUDO at Mohd Sultan one Sunday to check it out. They looked absolutely adorable in the getup provided for the workshop. They listened intently to every instruction given and of course, added their own mischief into the mix. 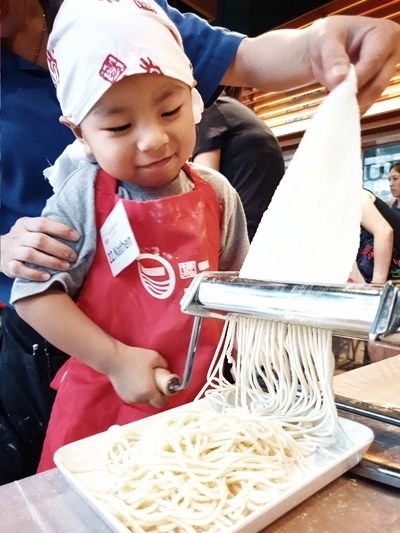 The IPPUDO Child Kitchen workshop allowed them to explore their sense of touch, taste and smell, giving them a wonderful introduction to the culinary world. We parents loved seeing the look of wonder on their faces as they watched their own hands turn dough into noodles. 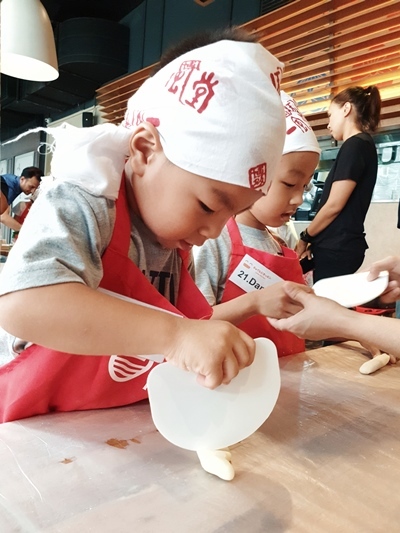 They even let the kids into the kitchen to stir the noodles to give them the experience of cooking the noodles as well. At the end of the workshop, all the kids got to savour the fruits of their own labour. Daniel loved his bowl of tonkotsu ramen and Nathen loved the crisp pan-fried gyozas. It was definitely a memorable and enriching experience for all of us. 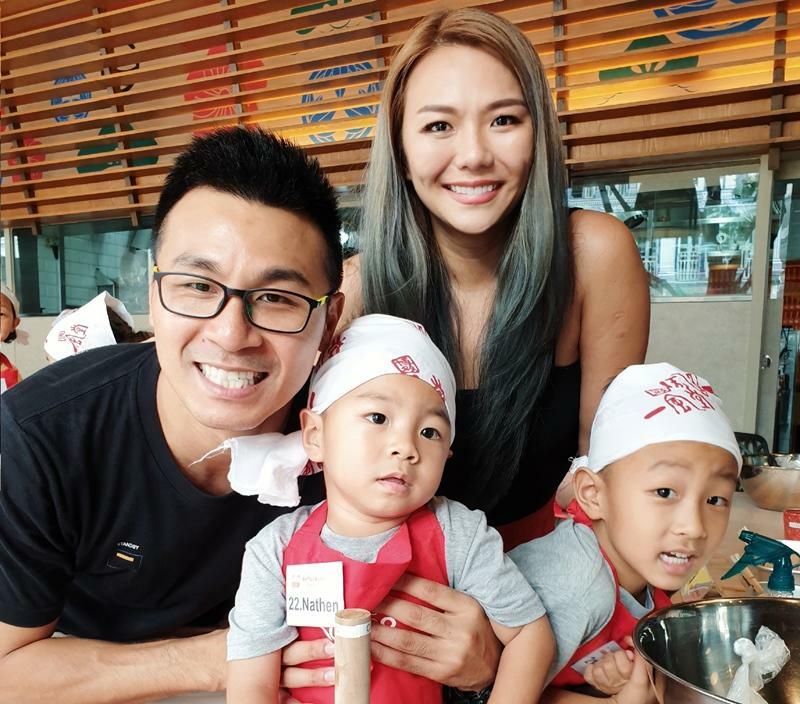 Interested to go for this kids cooking class? Just register beforehand and show up! 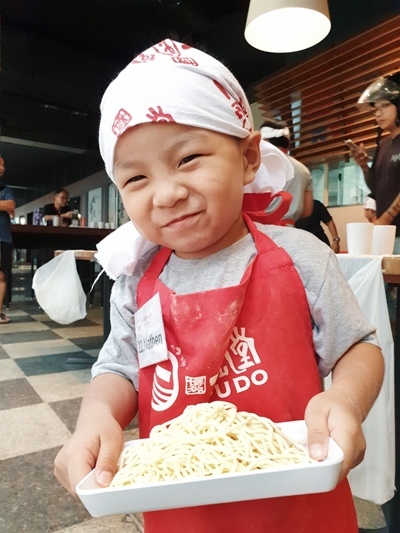 The wonderful team at IPPUDO Child Kitchen will provide all the ingredients and the fun. 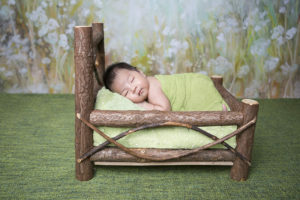 Workshop dates and registration details can be found HERE. 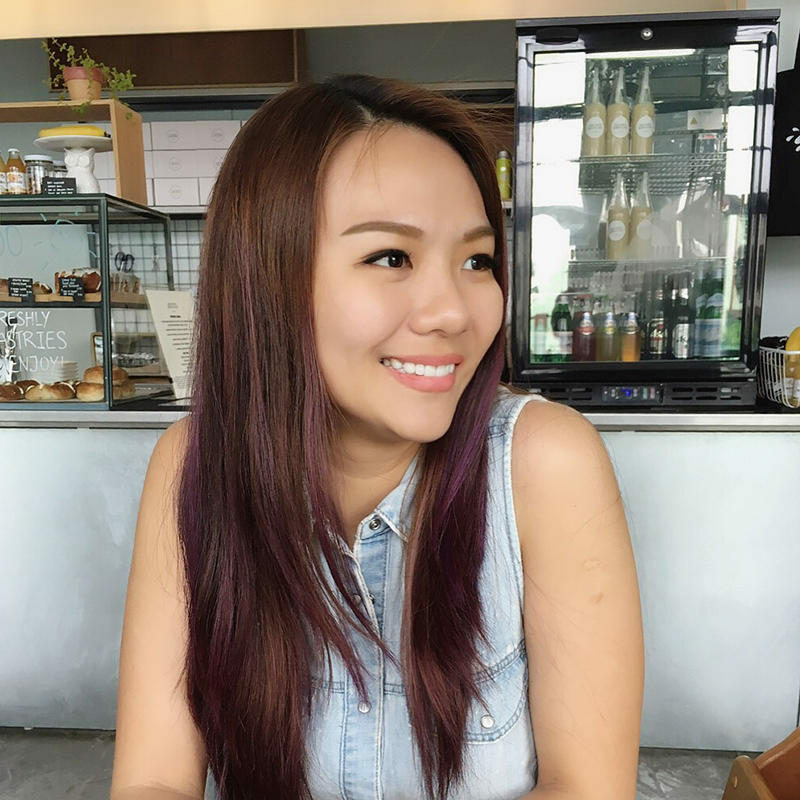 Next Post PicoSure Laser Review: So Good For Treating Scars!